In business, as in life, you are known by the friends and partners you keep. Who those friends and partners are say as much about you as it says about them. We are particularly proud of ours. Our friends and partners are cutting edge disrupters in their own discreet areas, each effecting how law will soon be more widely, efficiently and economically, practiced. We would like to think that their friendship and partnership reflects the same in us. Our first client was LegalSifter. We don’t forget that. We did not call on them. They called on us. Their CEO asked our CEO “Hey Harry, can your guys in India do….” The rest is history. We are doing the legal annotation part in the creation of the algorithms which are used to find legal concepts in unstructured data. The feedback we get is both tangible, increasing the size of the team, and intangible, like notes from their CEO indicating they “are really happy with the way things are going.” Both are important, but perhaps more important is knowing that we are doing work in Artificial Intelligence which will reshape how law is practiced and drive down the cost making it more available. It is one thing to do good work. It is another to change the world for the better. We also use LegalSifter’s tools, ContractSifter for data extraction and will soon use LegalSifter for responding to client legal analysis needs. Both tools are the finest tools of their type available in the world. We know quite a bit about them. We helped create them. While we have our own expertise, an independent stateside consultant not only advises on and employs best practices, but also serves as the expert witness who stands behind the defensibility of the decisions made regarding scope and relevance. In Anne and Reasonable Discovery®, we have aligned ourselves with, and rely upon, the best. Anne Kershaw is a pioneer in the field and the Founder, Owner and Managing Director of Reasonable Discovery. ® Her eDiscovery credentials are second to none. Anne is a Faculty Member of Columbia University’s Executive Master of Science in Information and Knowledge Strategy, was a faculty member of Georgetown University’s E-Discovery Academy and is currently an Advisory Board Member of Georgetown University Law Center’s Advanced E-Discovery Institute. She is also a member of the Board of Directors for the Data Law Initiative at the Benjamin N. Cardozo School of Law and is a Fellow of the eDiscovery & Legal Analytics Program at the Center for Law, Science & Innovation at Arizona State University Law School. In 2010, 2011 and 2014 she conducted workshops on electronic discovery at the Federal Judicial Center’s conferences for U.S. Magistrate Judges. Anne’s eDiscovery experience is unmatched. She began working in the field in 1993 for IBM. Anne began consulting on approaches to document review in 1999, working on some of the nation’s largest litigations, including the tobacco litigation, repetitive stress litigation, securities fraud litigations, product liability MDLs, wage and hours class actions, anti-trust investigations/litigations, insurance antitrust MDLs, and RICO and investment fraud claims. 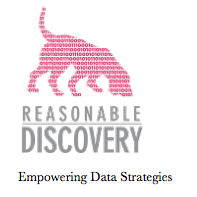 Reasonable Discovery® employs an Investigative approach which starts with what is known, collecting the email of just a few key people, and using cutting-edge technology in a strategic way to find core relevant documents. An investigative approach then works outward from that core to find the remaining, additional relevant data. Typically, an investigative approach is completed in a very short time-frame for considerably less cost than a typical Linear, TAR or a Hybrid Review. Anne stands ready to defend the results of the application of Reasonable Discovery’s® investigative approach in any matter. LO2 is pleased to announce our partnership with NearZero Discovery ( www.nearzerodiscovery.com ) a leading Canadian provider of electronic discovery technology and support services. NearZero Discovery provides eDiscovery support services (including project management, consulting, forensic data collection, structured data transformation services and litigation readiness assessments) to law firms and leading corporations in the automotive manufacturing, financial and pharmaceutical sectors. NearZero Discovery’s goal is to assist clients by providing a centralized project management team for their eDiscovery needs through their FAST & SECURE © approach and methodology. NearZero Discovery is located in the Greater Toronto Area and is headed up by Richard Wessel, who has been in the eDiscovery space for over ten years. Richard and his team are all ACEDS certified and they have an in-house Canadian document review team headed up by Tarrie Phillip, a member of the Ontario Bar. When there is a document review which requires a lower cost component, NearZero Discovery uses technology to provide a hybrid solution. NearZero Discovery is able to use TAR and ECA tools to determine the relative likelihood of finding high value documents before they are manually reviewed. While hosting the data in Canada, through the use of providing permission to access custodians remotely, they are able to leverage and use our experienced, employee reviewer team and provide a high-quality, lower-cost, solution.